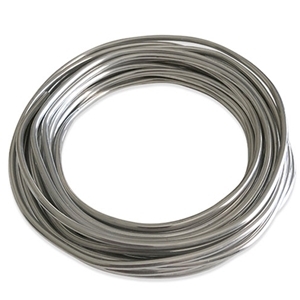 One of our most popular clay modeling armature wires, the 907B sculpture wire is ideal for pieces up to 15". It is non-corrosive, lightweight and fully pliable yet strong and sturdy. 10 gauge (SWG); 1/8" in diameter; 20 feet long. Weight and length is approximate. The perfect framework to preserve the integrity of your piece as you build up your modeling material.